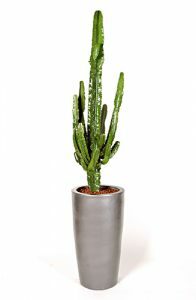 Having flowers around can make interior spaces feel much fresher, brighter and more natural. However, they can also do much more – they can convey a meaning! 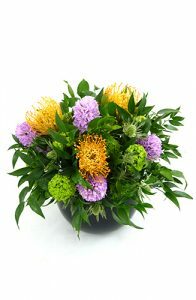 The language of flowers – or floriography, to give it the proper term – is something found in traditional cultures across Europe, Asia and the Middle East. It was commonly known back in Shakespeare’s day – the quote above coming from the tragic Ophelia in Hamlet. Although it’s not as popular now, it’s still a fascinating subject – and if you’re choosing flowers for offices, you might want to think about what they might be saying about you and your business! Amarylis (left) can symbolise pride, splendid beauty, or (oddly) pastoral poetry. Calla Lilies (centre) are symbolic of magnificent beauty. 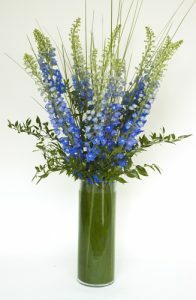 Delphinium (right) means big-hearted or fun. Gladioli (left) indicates generosity, or says, “I’m sincere”. 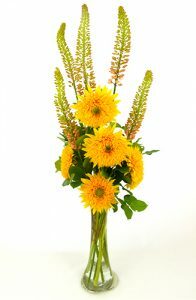 Sunflowers and Foxtails (centre) – the sunflowers mean adoration and foxtail grass is said to be “sporting”. 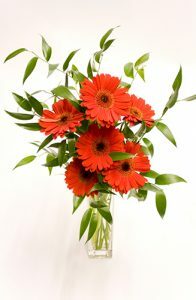 Gerbera (right) is a flower that means innocence. White Roses (left) have a host of meanings, including innocence, purity, humility, secrecy, and silence. They are also meant to say “I am Worthy of You”. 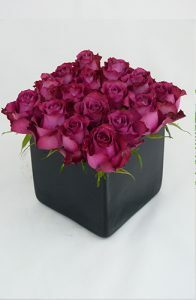 Pink Roses (right) indicate perfect happiness, a secret love, or grace and sweetness. Hydrangeas (left) say, “Thank you for understanding”. In the height of the Victorian craze, flowers were often used for secretive courting – sending messages that society might frown upon if they were sent more openly. 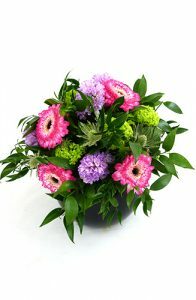 Thus, a suitor might send some ranunculus to the object of their affection to say “I am dazzled by your charms”. 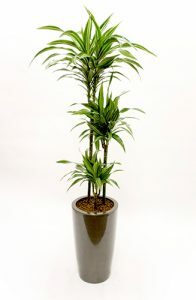 If the approach was welcome, they might get Jerusalem Oak (also known as Feathered Geranium) in return, to say “Your affection is reciprocated”. If they got yellow carnations in return, however, that would symbolise rejection and they would be encouraged to look elsewhere. Orange lilies would be worse, though – they symbolised hatred. 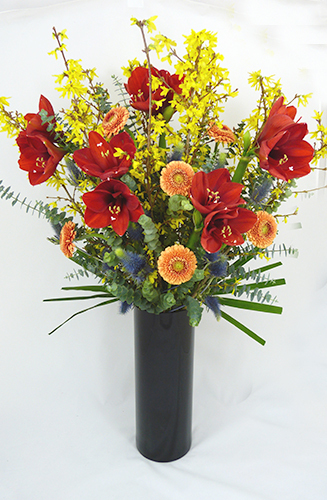 In the context of an office, then, how might flowers create the right kind of message? 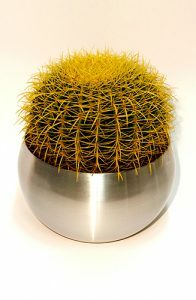 Well, they could be used to signify what your customers might expect from you. 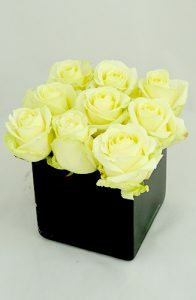 The implication of “secrecy” from white roses can be used to tell your clients that their information is safe with you. 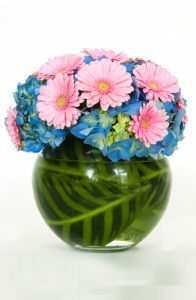 Blue hyacinths can be used to promise a consistent service. 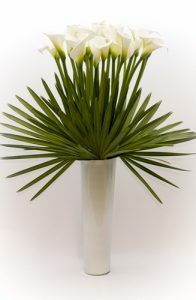 A spa, beauty salon or high-end dress shop can offer their customers beauty with a display of calla lilies. 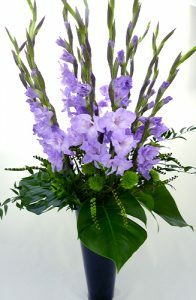 They might also be used to promote certain feelings in your staff and customers; if you want your staff to be generous and sincere with customers, having some gladioli around certainly won’t do any harm, and if you’ve got a face-to-face customer complaints department, hydrangeas might – just might – make a slight difference! Whether anybody knows the meaning you’ve chosen or not, you’ll still have a beautiful display which can help to brighten your office and create a welcoming atmosphere! Here at Jungle World, we can help you to find the right flowers for any workplace – although we might need to look up a few of the meanings! 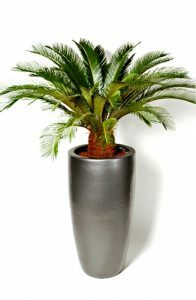 We can supply floral displays, interior and exterior plants, all as fresh as possible and as affordable as you need. For more information, contact us today on 0208 968 8190 to speak to our friendly team.